The East of England Clinical Network has commissioned Health Education England e-Learning for Healthcare to develop two sessions to enable colleagues in primary care to better support people living with epilepsy. This was in response to stakeholder indication that such resources were required. The main outcomes are to ensure that GPs have access to a high quality learning module to enable better support for people living with epilepsy and to raise awareness of the whole-person approach to care, resulting in reduced risk of repeat acute admissions and unnecessary deaths within the epilepsy population. A second course has been added in 2017 in partnership with the charity, SUDEP Action, to enable healthcare professionals, particularly those who are not specialists in Epilepsy, to better understand Sudden Unexpected Death in Epilepsy (SUDEP), how risks can be reduced by healthcare professionals and people with epilepsy, and what is helpful to families after an epilepsy death. The materials in this course have been provided with the kind permission of SUDEP Action and South Western Ambulance Service NHS Foundation Trust. For more information, visit www.sudep.org. The videos have been produced in conjunction with Health and Care Videos, a partnership with Torbay and South Devon NHS Foundation Trust. For more information visit www.healthandcarevideos.com. Approximately 70% of people diagnosed with epilepsy should be seizure free given the appropriate treatment. Currently it is around 52%. Consequently, 18% of people with epilepsy are currently having seizures when they could be seizure free. For these people there is a significant impact on their quality of life including driving, relationship difficulties and an increased likelihood of depression. They also have an increased risk of Sudden Unexplained Death in Epilepsy (SUDEP). It is vital that all patients are supported well and that this is recognised and reflected between the secondary care consultant, GP and epilepsy specialist nurse where one exists. Due to variability in service provision, many people are not receiving the support they require outside of hospital. This leads to an increased risk of seizures, acute emergency admissions and inadequate support for specific issues such as pregnancy, safety and employment. It is therefore vital that GPs have access to a high quality learning module to enable better support of people living with epilepsy. Without this resource there is a risk of continued inadequacies in the treatment and care of people with epilepsy. A risk of continued burden on the health care system in terms of repeat and unnecessary acute admissions and risk of continued unnecessary deaths within the epilepsy population, which could be reduced or prevented. To improve the confidence of GPs in supporting people living with epilepsy in general practice. To ensure that GPs understand the role of primary care in the support of people living with epilepsy. To improve the quality of patient annual reviews. To ensure the patient’s condition is as well controlled as possible, thereby reducing the incidence of SUDEP and unplanned admissions. To improve the quality of life for people living with epilepsy by improving the management of their seizures, directing them to support from third sector organisations as well as information on employment, benefits and driving, taking a more holistic approach. To raise awareness of the psychosocial issues people living with epilepsy can experience. To ensure that those who are not well controlled or who require neurologist input are referred back in to secondary care in an expedient manner. To ensure that women of childbearing age are well supported if they are considering starting a family or to prevent unplanned pregnancies. To ensure that women who are pregnant receive excellent antenatal and postnatal care. Following the death of Charlie Burns (aged 10) from Sudden Unexpected Death in Epilepsy (SUDEP) in October 2011, South Western Ambulance Service NHS Foundation Trust (SWASFT) has been working closely with the Charlie’s family and the charity SUDEP Action to create a training package for health professionals about SUDEP. This course was originally launched in 2016 for emergency staff to develop knowledge on SUDEP to support their working with people with epilepsy. The training consists of videos, lesson plans and slides to cover the topic, and can be completed either individually or in a group training session. Videos produced in conjunction with Health and Care Videos, a partnership with Torbay and South Devon NHS Foundation Trust. For more information visit www.healthandcarevideos.com. Video: Who are SUDEP Action and what do they do? Video: What is SUDEP and what do family and carers need to know? If you already have an account with e-LfH, then you can enrol on to the Epilepsy programme by logging in to the e-LfH Hub, selecting My Account > Enrolment and selecting the programme. You can then access the programme immediately in the My e-Learning section. 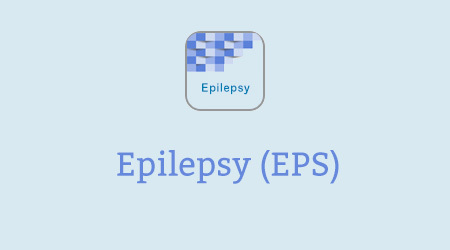 The Epilepsy programme is also available to NHS healthcare staff via the Electronic Staff Record (ESR). Accessing this e-Learning via ESR means that your completions will transfer with you throughout your NHS career.